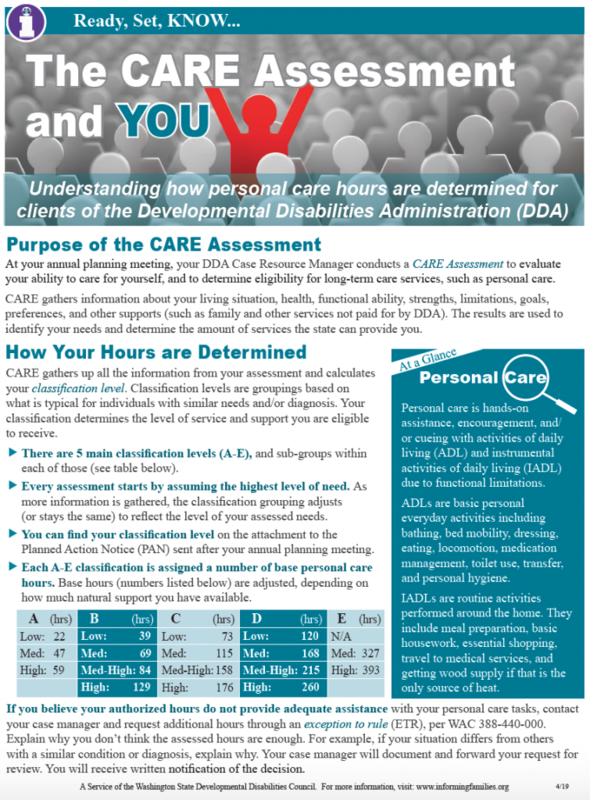 At your annual planning meeting, your DDA Case Resource Manager conducts a CARE Assessment to evaluate your ability to care for yourself, and to determine eligibility for long-term care services, such as personal care. CARE gathers information about your living situation, health, functional ability, strengths, limitations, goals, preferences, and other supports (such as family and other services not paid for by DDA). The results are used to identify your needs and determine the amount of services the state can provide you. CARE gathers up all the information from your assessment and calculates your classification level. Classification levels are groupings based on what is typical for individuals with similar needs and/or diagnosis. 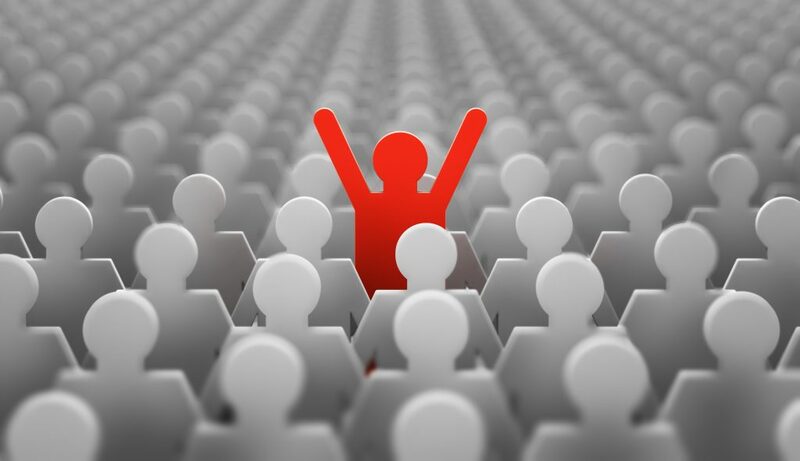 Your classification determines the level of service and support you are eligible to receive. There are 5 main classification levels (A-E), and sub-groups within each of those (see table below). Every assessment starts by assuming the highest level of need. As more information is gathered, the classification grouping adjusts (or stays the same) to reflect the level of your assessed needs. You can find your classification level on the attachment to the Planned Action Notice (PAN) sent after your annual planning meeting. Each A-E classification is assigned a number of base personal care hours. Base hours (numbers listed below) are adjusted, depending on how much natural support you have available. If you believe your authorized hours do not provide adequate assistance with your personal care tasks, contact your case manager and request additional hours through an exception to rule (ETR), per WAC 388-440-000. Explain why you don’t think the assessed hours are enough. For example, if your situation differs from others with a similar condition or diagnosis, explain why. Your case manager will document and forward your request for review. You will receive written notification of the decision. Personal care is hands-on assistance, encouragement, and/or cueing with activities of daily living (ADL) and instrumental activities of daily living (IADL) due to functional limitations. ADLs are basic personal everyday activities including bathing, bed mobility, dressing, eating, locomotion, medication management, toilet use, transfer, and personal hygiene. IADLs are routine activities performed around the home. They include meal preparation, basic housework, essential shopping, travel to medical services, and getting wood supply if that is the only source of heat.